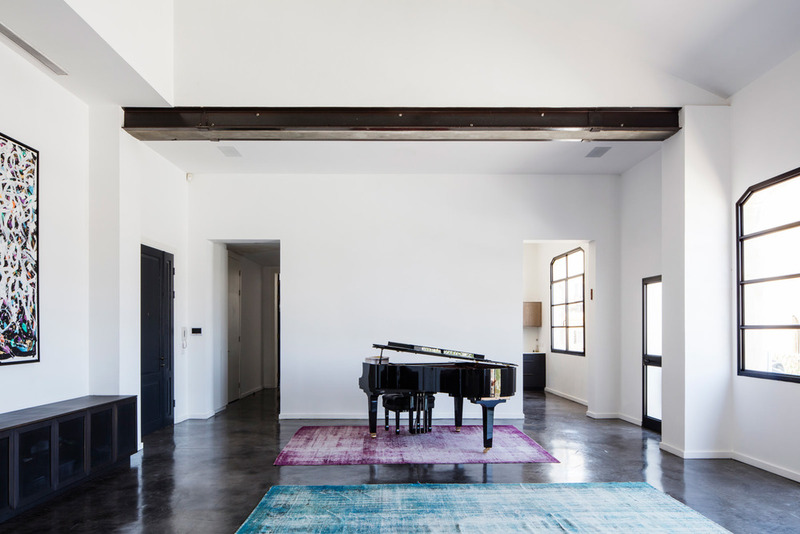 The space is set within an eclectic style home one of the first houses in Newe Zedek. The height and scale of the space unfolds only from within, as the site sits on a very busy artery. The brief was to convert the existing apartment set within a listed building into a space for entertainment and living. We were challenged with the task of creating a space that on one hand respected the old building and on the other created a timeless reinterpretation of its initial constructs. Rather than restoring the original features or alternatively creating new ones that mimic the old, we chose to add a new material palette. Our material palette is both dark and raw, on one hand we wanted to uncover the original materiality and at the same time provide a new materiality that would complement the existing. The size and scale of the space allow us to create elements that are free standing, therefore the additions are always distinguishable. 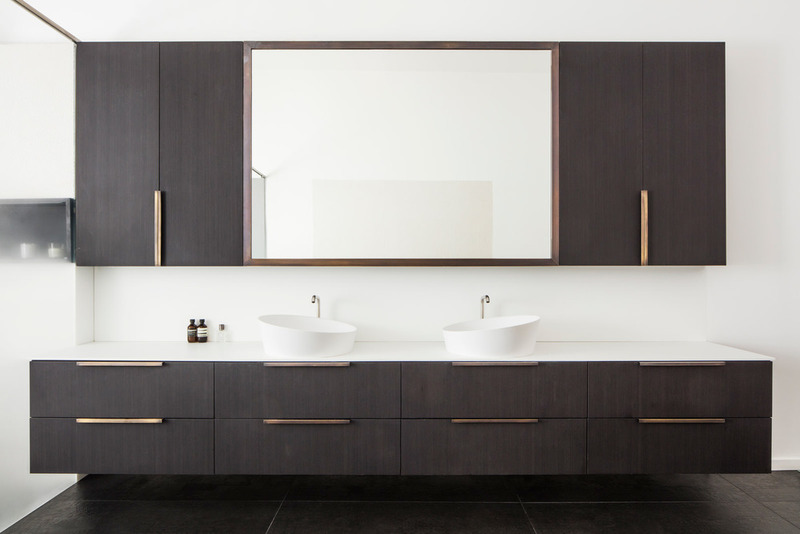 Blackened Oak, Black concrete, Corian and Aged Brass.